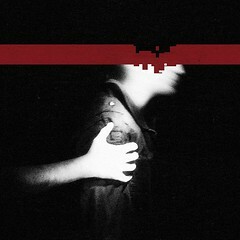 Nine Inch Nails, via Creative Commons, have very generously provided their new album, The Slip, for free download to one and all. It’s a good move to thank their fans, but it’s also a good way to encourage people to get to know them. As one who is newly exploring what’s out there, and therefore has a great deal of ground to make up, this was very good news. So I downloaded it earlier tonight and am now on my third fourth listen: it’s awesome, and a terrific introduction to this band. There is such a lot going on in their music but yet it’s not at all cluttered: there’s a clarity to the sound that lets you hear everything that’s going on. Contrast between tracks, that range from ambient sounds to upbeat rocker numbers, gives a satisfying impetus to the whole: we are brought on a journey and I certainly didn’t want to stop after any part of it. They’re not afraid to make creative use of inventive instrumentation (including effective use of an out-of-tune piano, something usually guaranteed to set my teeth on edge, but here it works) and there’s superb use of a huge dynamic range especially in the ambient tracks. The vast crescendi threaten to take you over, and you can only wallow in the impact of this delicious soundscape. I love it. Think I’ll be looking out their back catalogue.